Mary died peacefully, on Monday, January 28, 2019, surrounded by her loving family at North Bay Regional Health Centre. She was 88 years of age. Mary (Bester) was the beloved wife of Francis George Straus. 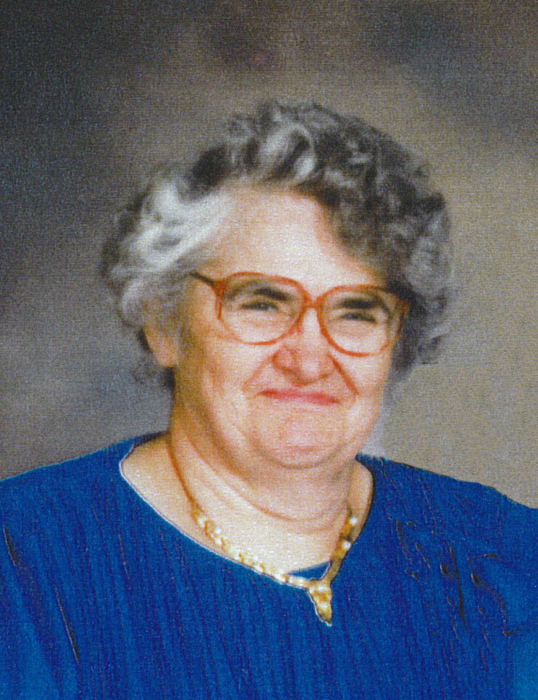 She was the loving mother of Wanda Aultman (Jim) of Powassan, Peter Straus (Karen) of Nipissing Township, Rita Desbiens (Wayne) of Nipissing Township, and Isabel Topps (Delwood) of Powassan; and proud grandmother of 11 grandchildren, 21 great-grandchildren, and predeceased by grandson Dwayne. Mary was predeceased by her parents O’Linda (Aultman) and Peter Bester; and was the dear sister of Eugene Bester of Powassan and the late Lawrence Bester, Helen Mathias, Doreen Aultman, Stella Grabowski, Rita Bester and infant brother Clarence. The Straus family will receive visitors at Paul funeral home on Friday, February 1, 2019 from 2 to 4 and 7 to 9 pm and at St. Joseph’s Church on Saturday, February 2 from 1 to 2 pm. The Mass of Christian Burial will follow at 2 pm in the church. Spring interment St. John’s Alsace Cemetery. If desired, donations may be made in Mary’s memory to St. Joseph’s or St. John’s Church Building Fund or the Alzheimer’s Society. For more information, to make a donation (cheques only please), to leave a message of support for the family, or to order flowers, please go to www.paulfuneralhome.ca or call Paul Funeral Home, Powassan at (705) 724-2024.